Did you know that approximately 20% of teen drivers involved in fatal car accidents reported having high levels of alcohol in their systems? Motor vehicle fatalities are still the leading cause of death in teenage populations, accounting for about one-third of overall fatalities – as well as other risky driving behaviors. Recently, talking or texting on a cell phone has been implicated in further distracting already inexperienced young drivers. Perhaps this is why teens account for 14% of reported crashes while comprising less than one-tenth of the driving population. Although by the time young drivers take their driver license photo they have heard phrases like “speed kills” and “don’t drink and drive” ad nauseam, teens frequently succumb to the dangers of risky driving. According to research out of Temple University, the brain systems involved in complex decision making evolve slowly throughout the teenage years and can, therefore, increase the chances of teens engaging in risky behaviors behind the wheel. These findings perhaps explain why teens are resistant to pleas from educators and awareness campaigns to resist texting, playing with the radio or consuming alcohol and getting behind the wheel. That same research from Temple University showed that the impulse-governing part of our brains does not fully develop until age 25, which partly explains the trouble teens have with curbing risky behaviors like texting. Often, teens know the correct behavior intellectually but don’t have the restraint to act upon that knowledge and eschew reckless behavior. Insurance companies say that teens have higher rates because of driving inexperience and immaturity. The latter can often lead to taking unnecessary risks or just not understanding the correct thing to do in every situation on the roads. Statistics show that a 16-year-old driver is 250% more likely to get into an accident that a 24-year-old driver with more experience. The tendency is for rates to rise until around age 25 and then gradually decline throughout an adult’s driving life, or until age 70. That said, multiple crashes and tickets can preclude an eventual reduction in car insurance coverage or affordable rates. Educators and parents alike should stress the importance of following the rules of the road at all times and forgoing risky behaviors like texting, calling and fiddling with the radio while driving. Teen drivers often face high premiums because insurance companies usually have to pay out more on claims. A reputable driver’s education curriculum, and qualifying for rate reductions based on good grades and accident-free driving, can reduce rates for teen drivers. Parents would also be wise to add teens to their existing policies and take advantage of multi-car insurance discount packages. 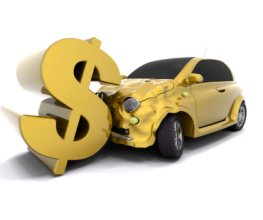 Interestingly, vehicles that are frequently broken into or have notoriously high repair costs are costlier to insure, especially for new drivers. Contacting an insurer beforehand to lock in an affordable rate is a wise move. This motive shouldn’t be purely economic, however, as teen drivers prone to impulsive, perhaps reckless, driving might be safer with a sedan and a high safety rating versus a hard-to-insure sports car. That said, seatbelts, airbags, and newer safety features can bring down insurance rates; so that hand-me-down clunker may not be the easiest car to insure. Summing up, teens face higher insurance rates than older drivers because of inexperience, immaturity, and proneness to accidents. Are you adding a new teen driver to your policy soon? Ask a Davis Dyer Max advisor if you qualify for any discounts.